Looking to make your Wrangler JL stand out from the crowd? 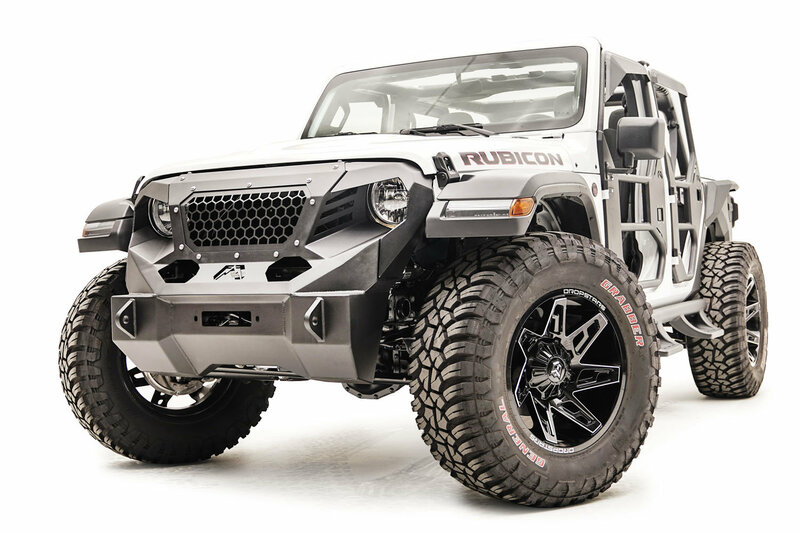 Look no further and transform you JL into an apocalyptic off-road looking beast with the Front Grumper from Fab Fours. Don't let the looks fool you, this is not just a cosmetic make over for your Jeep. The stubby design allows for maximum tire clearance while the side vents & mesh inserts give you optimal air flow for when you are traversing the toughest of trails. Comes with integrated d-ring mounts that hold up to 7/8 shackles and the famous angry eye cut outs everyone has come to love, this Grumper can accommodate larger winches such as Warn's Zeon winches. 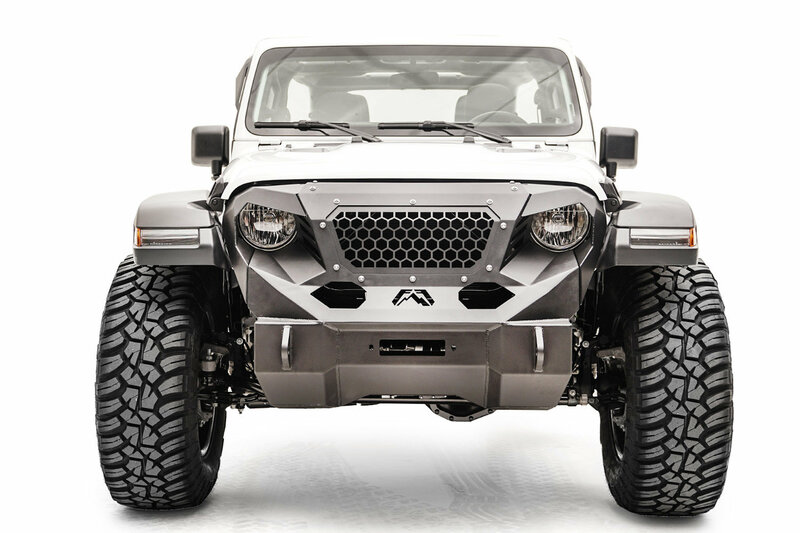 Design: Focusing on an aggressive off-road look the Grumper combines the grille with a front winch stubby bumper that is designed to give you extra clearance for larger tires along with side vents & a large mesh insert allowing for premium air flow to your engine. D-ring mounts add some extra recovery points and an optional light bar insert is available to accommodate most 20" LED light bars. If you have a larger winch like a Zeon from Warn no problem the Grumper has the ability to fit one in there.